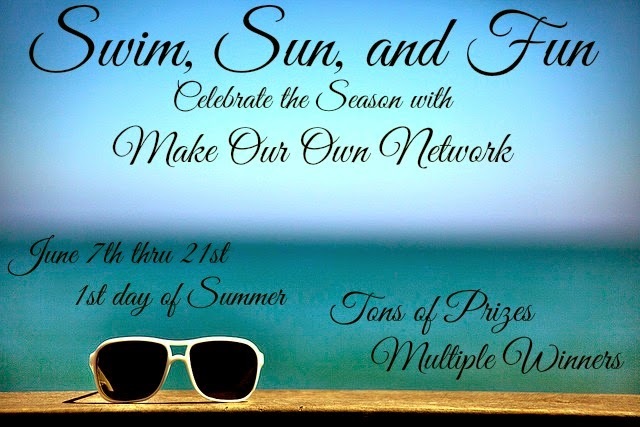 Welcome to the Swim, Sun, and Fun 2 Giveaway!! I have to thank each and every wonderful sponsor who helped truly make this giveaway event possible! Please be patient with our bloggers' websites and load times since this is such a large event. The forms may take a little extra time AND it may seem like this one has a little extra work to enter. Even though each of the packages have their own giveaway form, you will find that most of the entries are identical. This way, if you like/follow a page in one, you will already have it done for the next! This giveaway is open to the Continental US only (because of shipping costs and variations between sponsors) and will end on June 21st, 2014. Click on the Package Number to enter that specific giveaway. GRAND PRIZE is at the Bottom! Our favorite country to travel is Chile. We enjoy going to the beach and the park. I live in West Texas and prefer the dry heat. We have family in Kansas City Mo and when we visit the humidity kills us. I live in West Texas and I prefer the dry heat. I love dry heat with a strong sun. I can't stand New Jersey humidity and can't imagine how much worse it must be in the South. I prefer the pool. The beach freaks me out. I would so want to win this for our dogs. Two weeks ago the older one had to have some tumors removed. sort on her cheek.Test will not be coming back for three days.All I can say now I am Praying.